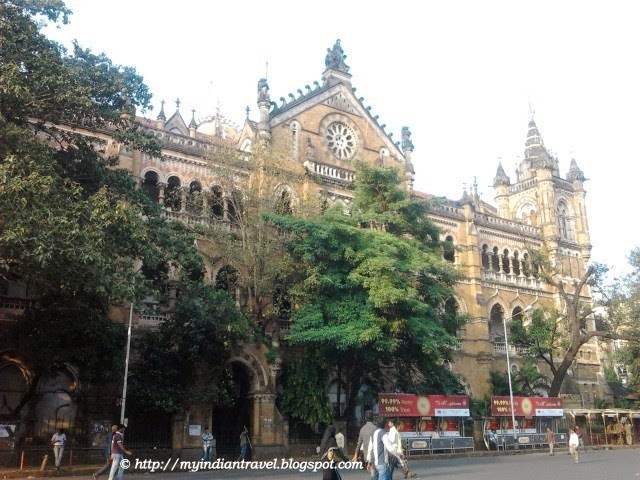 Chhatrapati Shivaji Terminus (CST) formerly known as Victoria Terminus at Mumbai is the 19th century heritage structure. 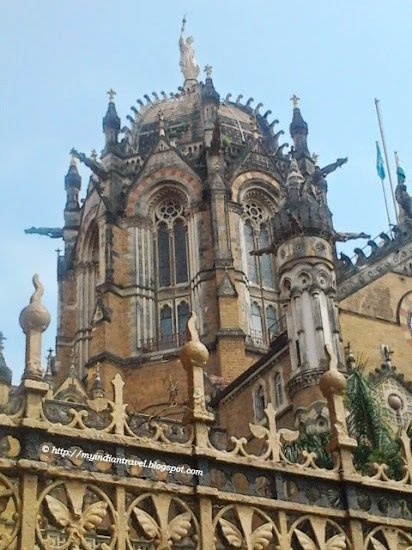 It was built to to commemorate the Golden Jubilee of Queen Victoria. 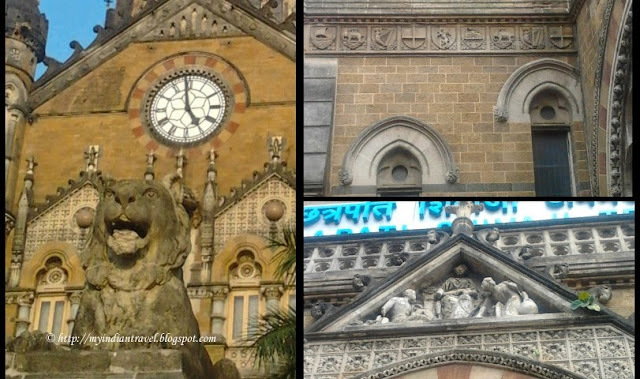 The terminus is one of the first construction that made use of industrial revolution technology merged with the Gothic Revival style based on late medieval Italian models. This style made use of color and ornamentation that is compatible with the Mughal and Hindu architecture of the subcontinent. 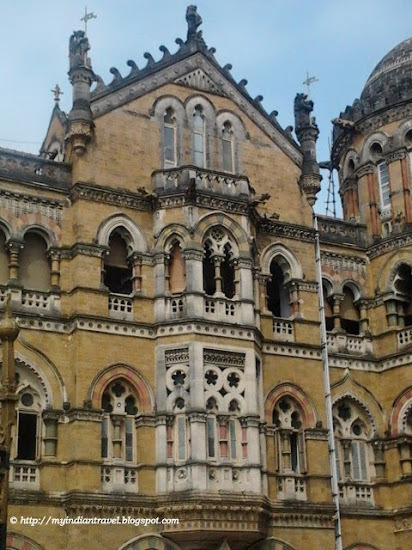 The facades present the appearance of well-proportioned rows of windows and arches. This is the highlight among the city's historic buildings. From across the street one can admire all its quirky ornaments. I love historical buildings. They don't build them like they used to. Their architect is so creative and unique. That is a spectacular building - it makes everything here look boring by comparison. At the first glance it looks like the St. Pancras Station in London ! Must say it's well copied with some exotic touches ! Interesting architecture, it could only be conceived in India! There is a lightness to the Victorian Gothic. In vietnam same same this ! Excellent coverage on the marvelous structure! I get to see more details in your photos. One of the prime attractions of a metro is the nightlife. Get a glimpse of the rocking night life in Mumbai at Trilogy nightclub. An amazing World Heritage site!